Software market has grown rapidly and millions of individuals are involved in this which includes professionals, s/w learners, and students. These all are major contributors in the IT industry.The young manpower is the key behind the success story of this IT Industry. The development of software application is done on many different platforms. But you can recognize, the majority is using Sun Java and Dot Net. J2EE and ASP Dot Net are the most popular languages used in maximum projects for server-side programming. JAVA Training and ASP Dot Net Training is the part of today’s IT education system. Any professional software training includes a practical approach to get through the concepts of the languages. 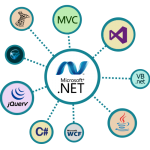 Java and Dot Net has rapidly used platforms. Again, these two are the biggest competitors of each other. The JAVA Training contains the concepts of Core Java, Advanced Java, Struts, Hibernate etc. It also includes some important topic like MVC (Model View Controller) Dot Net Training includes the basic framework, concepts of ADO Dot Net and several other important concepts. BigClasses provides Java and Dot Net online training for the learners. 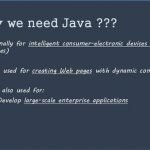 But most of the time they are very confused about which course they should select between Java and Dot Net. Both of these online Courses are object-oriented and used for web development. Java is platform independent because of its Bytecode and Dot Net provides platform independence by MSIL (Microsoft Intermediate Language code). Java uses the JRE (Java Runtime Environment) to execute Bytecode, whereas Dot Net uses CLR.